Spinning wool is considered as the main source of income for a large portion of the public in hilly states. Since 1926, Bageshwari charkha is being used to spin wool in these regions. However, this manually operated charkha faces the problem of low productivity, nonuniform filling of the bobbin, and nonuniform thickness of yarn. In order to eliminate these limitations of traditional charkha, an attempt has been made to modify by introducing foot-operated electrical motor, speed controller, modified flyer, and a crank for lateral motion of bobbin and lightweight steel pipe instead of the wooden frame. A number of wool samples have been spun at RuTAG, IIT Roorkee by modified and traditional charkha to compare the spinning production. In order to analyze yarn quality, these wool samples have also been tested at Wool Research Association (WRA) Lab, Thane, Maharashtra. Based on the results, it is concluded that the results of modified charkha are promising and can be used for the spinning of wool. Further, five sets of modified charkha has been fabricated and distributed to the local users through NGOs for field testing. To operate this modified charkha, the local users have also been skilled through a workshop organized by RuTAG in association with various NGOs. 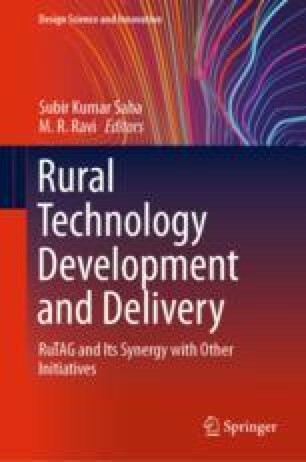 The authors would like to thank the Dr. R. P. Gakkhar, Former Professor, MIED, IIT Roorkee and Mr. Yogeshwar Kumar, Jansamarth NGO, Tehri for their technological support. We are also thankful to office of PSA of Government of India for providing the financial support.